Owning a Porsche is a dream for many people, and with good reason. As far as sports cars go, they are among the most reliable, they are universally fun to drive, and they are among the most recognizable cars on the road without being overtly flashy or ostentatious. They are also expensive when new, so driving a pre-owned Porsche can be a great way to live the dream without eBaying your organs or taking a large initial loss in depreciation. Besides, as the saying goes, "There are no used Porsches, only new drivers." But what Porsche is right for you? And who are we to tell you anyhow? Both valid questions so let's start with the latter. 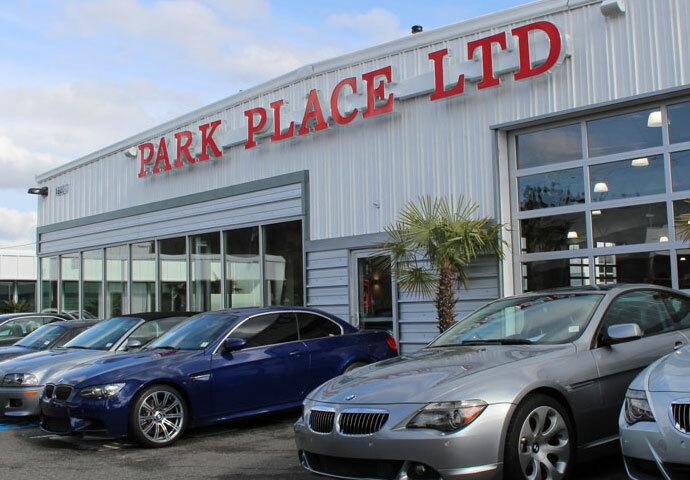 Park Place LTD has been in the business of selling quality, pre-owned sports, special interest, and exotic cars since 1987. We have always specialized in pre-owned Porsches not only because they are what our customers want, but also because we like them so much. We always have 50 pre-owned Porsche cars in inventory, and currently, there are no fewer than 8 Porsches of various models owned by our staff of 45. That's right, close to 20% of our staff own and drive Porsches - from the boss's limited production 993 Turbo S and his son's Carrera GT all the way down to one of the lot porters who drives a 944 and your humble scribe's 914 2.0…and his '71 911. We put our hard-earned money where our mouth is. Now for the task at hand: figuring out which Porsche is right for you. For the sake of relative simplicity, we'll only cover 911s in this article. 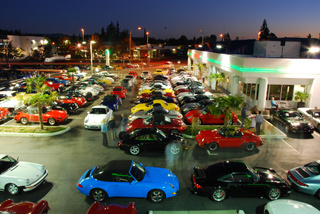 The obvious place to start when choosing a pre-owned Porsche is by first determining how much money you want to spend. If you want or need to keep your expenditure minimal, you clearly won't want to spend time looking at an almost-new Carrera S or a newer 911 Turbo. Neither will you want to bother looking at blue-chip collectable models like a 2.7 RS or an early soft window Targa. How do you plan to pay for the car? If you are financing your purchase, take into consideration the fact that cars 4 years old or newer are easier to finance often with a better rate and longer terms allowed by many lenders. You may be surprised to learn that sometimes you can get a newer car for a lower monthly payment and perhaps even with less money down. If your budget is more open your choices become more complicated. You can spend $100,000 on a newer car with all the coolest kit, or you can buy a genuinely collectible investment grade car that will appreciate in the future. How you intend to use your Porsche is almost as important as how much you want to spend. Do you want to drive the car daily? If you want to use your Porsche as a regular or daily driver, you might take into consideration the things you need to be comfortable and what a car needs to do to make itself practical for you. For instance, if you can't live without features like automatic climate control, anti-lock brakes, and Airbags, or modern optional equipment like xenon headlamps, seat heaters, and GPS Navigation, you will most likely want to look at 911s model year 1999 and newer (more on this later). The later model cars are also considered more reliable, though Porsches in general are very reliable cars. If they are new enough, the modern cars may also still be under the remainder of the factory warranty or can have an aftermarket extended warranty added at the time if purchase. In 1999 Porsche introduced the most comprehensively new 911 since its inception. New manufacturing processes, new body design, more power, and completely new interiors were part of the story, but the big news was that the boxer engine was now water cooled to help meet ever stricter emissions standards as well as in an attempt at even greater reliability. An older or vintage air-cooled car represents a very different - yet somehow still related - experience. Generally lighter weight, a distinctive and enticing engine note, simple but effective interior, and the cool look of a genuine automotive icon are all part of the package. These cars are generally not as fast as the newer models and take more skill to fully master at the limit, but like any challenge, the very act of mastery is its own reward. No car connects you to with the tarmac in such a visceral way and so completely involves you in the driving experience quite like an air-cooled 911 does. Amazingly, this holds as true of the first 2.0L cars introduced for 1965 as it does for the very last air cooled cars produced 33 years later in 1998. If your budget dictates you have an older car, take pride in the challenge of the older car and the driving experience that many would argue is more pure. If you've decided to look for a liquid-cooled car, there are more choices to be made. Porsche has offered numerous body styles: a coupe, a cabriolet, and a Targa that has a very unique all glass roof that slides back for a semi-convertible effect. There is also the more exclusive Turbo that has a wider body, upgraded suspension, and significantly more power - over 400hp in cars after 1996. The Carrera 4S (C4S) is derived from the Turbo with the same body and suspension but sans twin turbochargers. The different body styles will bring different price tags with them starting at the top for a Turbo Cabriolet trickling down to a base coupe. Not only can the various body styles bring large price discrepancies between models of the same era and same body style, so too will the level of equipment. Porsche offers a dizzying array of optional equipment that can make any car completely unique even from another finished in the same color with the same mileage and from the same model year. Options could have added as much as $30,000 or more to the original MSRP of a 911, so it is important to take this into account when looking at various cars in the marketplace. Furthermore, we would like to point out that it is literally impossible for any Porsche built after 1999 to have "every option." If someone tells you a car does, they are either being dishonest or are ill-informed. Optional equipment will not only play a factor in the price of a pre-owned Porsche, but it can also determine if a particular car fits your wants and needs. Keep in mind that many items that other sports or luxury cars feature as standard equipment are often options on a 911. Some notable examples would be heated seats, xenon headlamps, GPS Navigation, premium audio, CD changer, traction control, stability control, rain sensing wipers, all leather seats, power seats, rear window wiper, auto-dimming mirrors, or Bluetooth phone connection. Porsche also offers many options that other manufacturers simply don't even consider. Cars can come equipped with features like a factory aero kit, sport-tuned chassis, limited slip differential, sports exhaust system, ultra light modular wheels, carbon ceramic brakes, different colored brake calipers, and even horsepower upgrades. Interior trim can include 3 different kinds of wood as well as carbon fiber, aluminum, or painted/color-matched pieces. Not to mention the fact that you can order literally anything or everything covered in leather and can upgrade the leather as well. We've seen cars with as much as $10,000 in leather options that still didn't tick every box in this department. The 911 is now into its second generation of water-cooled cars. The 996 body style was built from 1999-2004, and the new 997 body style taking over from 2005 to present. Along with a face lift, better fitted interiors, and more available options (including Bose audio), horsepower was increased in 2002 to from 300 to 320hp. It was increased again in the new 997 body style to 325hp for the base Carrera or 355hp for the Carrera S.
As a general rule, the 996 and the 997 bodied cars are all very good cars and many people simply buy the newest example they can find that fits in their budget. However, you will also find many people who go the other direction and specifically look for cars with certain options or simply the example that catches their fancy. It's hard to go wrong picking out a modern 911. They are all fast, they all handle great, and they are all Porsches through and through. "Air-Cooled for me, Thank You"
The air-cooled cars can be roughly divided into three main categories. The first category consists of the early years of production through 1977. These are the most collectable 911s, in particular model year 1973 and earlier with their small chrome bumpers and smaller displacement engines. If you are looking in this category, don't expect to find nice cars at bargain prices. Also, we suggest paying for a thorough mechanical inspection of any car you are considering. It is better to spend a $200-$300 to find out you don't want a particular car than to skimp on this step and end up with a car that has problems that will end up costing you significantly more money sorting out. The next family starts in 1978 with the introduction of the 911 SC and continues through 1989 with the 911 Carrera which was introduced in 1984. These cars are very robust, deliver spirited performance, and make excellent regular drivers. It's not uncommon for these cars to show up with well over 100,000 miles on the odometer and still running strong. And, since these cars were all carefully hand-built, they often hold up very well with just a little care and basic maintenance. 1989 begins the last family of the air-cooled 911s with the all-new Carrera 4 introduced (overlapping with the final Carreras still built in 1989 as well) in the new 964 body style. The sleeker body style, upgraded engine, and available All-Wheel-Drive made these cars great to own and drive, but the new smooth bumpers and lower body moldings never caught on with the buying public and some of the earlier cars had problems with leaking oil from the head as no head gasket was used. Check for this update or at least to be sure that the car is not leaking oil when considering one of these cars. Again, a professional buyer's inspection is recommended. With sales lagging, Porsche introduced the 993 body style 911 for 1995. The body was even sleeker with the headlamps canted back and wider hips as well as better integrated bumpers. Many consider these cars to be the best of all air-cooled 911s as far as performance and drivability are concerned. They make an excellent alternative to a water-cooled car for a daily driver as they have some overlapping features like climate control, factory alarm system, and available options like xenon headlamps and heated seats. Since these cars are so good and represent the last of the air-cooled 911s, the demand for them is very high. They will generally cost more than many of the earlier model years of the modern liquid-cooled cars. This may all be a lot to take in, but don't let it dissuade you in your search. We have provided some basic guidelines, helpful ideas, and useful links to help the process be more meaningful, and we encourage you to take full advantage of our experience and expertise. But, one of the best suggestions is to visit Park Place and to physically look at the cars. Nothing helps you make up your mind better than seeing, touching, sitting in, smelling, and driving a variety of examples. No one else carries such a massive selection of pre-owned Porsches, so come experience Park Place in person if you live in or plan to visit the Seattle area. 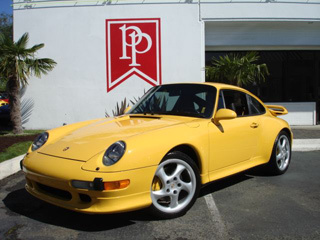 We pride ourselves in selling more pre-owned Porsches than anyone. Let us help you find your dream Porsche.